This study looks at how the movie industry organisation functioned between the late ‘40s and 1983 when it was originally published. 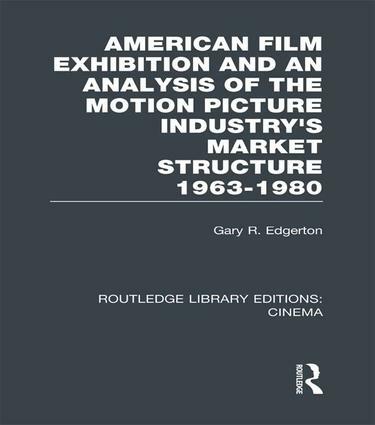 It describes the changing role of domestic exhibition through this time and analyses the wider film industry to provide a model of the exhibition structure in relation to production, distribution and outside factors. It addresses the growing issues of the cable and video markets as competition to the film exhibition business at that time and looks forward into a highly turbulent environment. With particular interest now as the film industry address a new range of threats and adaptations of its working structure, this book offers and integral understanding of a key stage in cinema history.